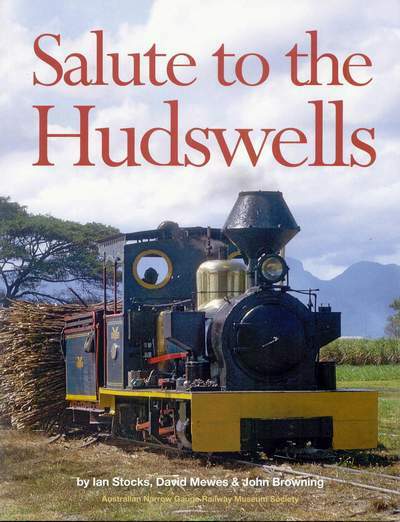 Salute to the Hudswells tells the story of the 41 Hudswell Clarke locomotives used on the 2ft gauge sugar cane railways of the Colonial Sugar Refining Co Ltd in Queensland and Fiji between 1911 and 1976. 34 were of the classic 0-6-0 tender type of which examples are preserved in working order in Australia, England and the USA. Also included are the prototype 0-6-0T type, the 4 4 0 passenger locomotive of Fiji's "Free Train", the Fijian 0-4-0ST wharf shunter (also preserved), and some pioneering 0-6-0 internal combustion machines. The book gives an outline history of the Colonial Sugar Refining Company and its sugar mills in Australia and Fiji which largely relied on narrow gauge railways for the transport of cane from the field to the mill and in some cases raw sugar from the mill to the port, and a focus is the last ten years of operation of the Hudswells at the Victoria and Macknade mills in north Queensland where author Ian Stocks worked in rail and transport operations, with 2 million tonnes of cane hauled in a six month period each crushing season. Ian finally arranged for the preservation of the remaining locomotives when steam came to an end after the 1976 crushing season. Lastly, details are given of the Hudswells that survive in preservation.